We work with a network of licensed local junkyards to buy your car fast. Get the best price for your junk car & get free towing! Enter your zip code below to get started. Save yourself the hassle of calling random junkyards close to you. We will give you a guaranteed $$$ offer in under 90 seconds. NO Haggle. FREE Towing in 24-48 hours. No FEES! You get Money. We pick up your car from your home, office or mechanic/body shop. When it’s time to say goodbye to that old car, you may be asking this question. You know your car doesn’t run or has been in an accident, but it still has some value, right? You don’t want to just give your car away if you can still get some money for it. That money could be put toward a vacation or a new car. But, the answer is not as simple as Googling “auto junkyards nearby me.” In this article, you will learn some pros and cons to selling your car to automobile junkyards near you. The first step before you get into car recycling mode should be checking how much is your car worth. We offer a free tool that can provide you with an instant estimate & offer. Here at DamagedCars.com, we specialize in buying junk cars in less-than-perfect condition, running or not. Based on your vehicle details and location we will give you the best, guaranteed offer for your auto, no matter the condition. Don't fix it. Sell it. Maximize your time and money by selling your car to us instead of a car junk yard. We'll give you a guaranteed offer for your vehicle, FAST! We automatically compare our offers and the offers from our partner auto scrap yards near you, always giving you the highest offer we can. We come to your home or workplace with free pick-up. One of our local towing partners will tow away your car, collect your title and pay you all at the same time. Professional & insured service from tow yards closest to you. We vet all of our service providers to the highest standards making sure they are professional, licensed and insured. No fees to you, ever. GET MONEY FOR YOUR CAR! For car recyclers to pay money for your car or truck, there need to be quality used auto parts inside that they can sell to people. The people who buy these parts usually need to keep their cars running a little longer on a budget or love to rebuild vehicles as a hobby, so they won’t pay a lot for the auto parts. But there is often still some value in them depending on your car’s year, make and model. Car junk yards near you have a limited profit margin, so they can't always offer the highest price for every vehicle. So salvage yards near you that buys cars may not be the best option. Vehicle junkyards are notoriously tough negotiators. Even if they pay you cash, they will try to haggle you down in price. Junkers near you know that you invested time to take your car to their car junkyard or money to have them come to pick it up. They know that you may be scrapping it because you just didn't want to hassle of trying to sell it on Craig's List. So you are at a disadvantage, and they use it to their advantage, offering you the lowest possible price that they think you will accept and if you walk away at that point you are often out time and money. There is a much better way than auto yards around you! Give Damagedcars.com a try. You’ll feel the difference immediately. You’re getting rid of that old car once and for all. Maybe it’s been sitting in your driveway with the tires getting lower every month. The birds have decided that it’s their new favorite target. But now you’ve finally sent it to its final resting place. 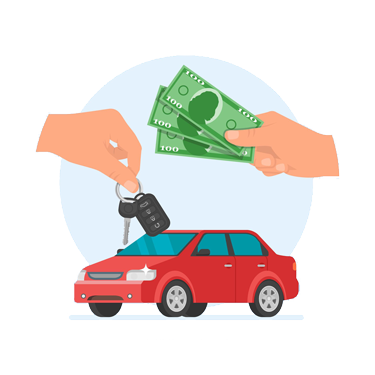 Depending on the condition of your car when you scrap it to vehicle scrap yards near you, you may get a little cash to put toward your new car. Or at the very least money to invite a few people over for pizza to celebrate your new found freedom from that piece of junk. When you send your car to auto junk yards, it’s not just going to a graveyard to rot. You probably have some good, functioning car parts in there that people will be able to give a new home in their cars. This not only reduces environmental waste but also provides a car parts locator service with their part aftermarket location that allows people to keep their cars running without paying factory prices. They are called scrap yards because they take the scrap metal from your car and put it to good use. Auto scrap yards near you are major contributors to the car recycling system. Chances are that when you are ready to scrap your car, it’s not running. And you don’t have a flatbed trailer or even a towing hitch to take the car to the auto wrecking yard. So, you’ll need the junk yards close to you to pick it up, but this can cost you. This is not to suggest that all auto dismantler near you are like this, but the junkyard business isn’t known for providing the best customer service or much service at all for that matter. They may not return your calls, scheduling a convenient time for pickup may not be an option, and they may huff when you tell them you don’t scrap your car every day and need a little guidance on what to do. Many auto recyclers use environmentally friendly processes to dispose of car parts, scrap metal and recycled vehicles they can’t scrap. But, many other automotive recyclers don’t. This can negatively impact air, streams, and wildlife. When you sell your car to a wrecking yard it has a couple of benefits, but many disadvantages. A good alternative to auto salvage places is DamagedCars.com. Here's how the Pros and Cons stack up. Pros and Cons: DamagedCars.com Over Selling A Car to A Junk Yard? You Can Get a No Obligation Quote, FAST. You provide some information online, and they may be able to give you a GUARANTEED quote, which you can accept right online. We take quoting seriously and strive to provide you with the best price possible, not a “cut-throat” low ball offer. Your quote is based on market value, demand, damage, condition, trim, mileage, etc. Our website is so easy to use with helpful FAQs and answers to any questions you might have. We are open 24/7 to give you instant offer on most of the junk cars in your area. If we need more information, a friendly representative will call you at a specified contact number, so that we can provide you with the best quote possible. You can accept this quote right over the phone. We make submitting verification as easy as scanning your license and title to verify who owns the car and if selling to us is an option for you, so no surprises later. We respect your privacy and understand that you will want to cross out everything on the scan but the info we need. We always strive to make pickup easy and convenient, within as little as 24 to 48 hours, by networking with licensed and insured drivers in your area who share our values of Friendly, Fast, and Convenient Service. You got that old car out of your driveway or yard. You accepted a reasonable offer. Verification was easy and the pickup convenient. You won't have to spend your time and energy to find a junkyard near you. You don’t get to drive to a car junkyard around you… Wait, that’s another Pro. DamagedCars.com does business differently, and that’s why so many customers have taken to Yelp, Facebook, and Google to share their experiences. We strive to provide the highest value, quickest payment, convenience, free tows with no hidden fees and secure transactions to every single customer. Sell your wrecked car with body damage or mechanical issues. No problem! Our scrap car buyers make fair market offers on your vehicle. When car scrap yards near you buy your car, they will often crush it and sell the scrap metal. However, this means they pay you that scrap metal price, and is usually much less than what your car is worth, junk car or not. This is how your typical auto recycler near you works, in scrap car prices. So rather than selling your car to a junkyard that buys cars, you can get an instant offer online for a higher price. 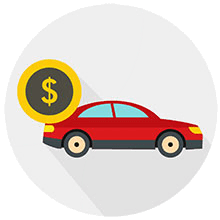 You get more cash, and you can sell your junk car online from the comfort of your home. So instead of going to a car junker near you, get your guaranteed offer online now.